Vacuuming is an essential activity to keep your carpets clean, green and healthy. And although it isn’t necessarily difficult, there’s a right and a wrong way to go about it. 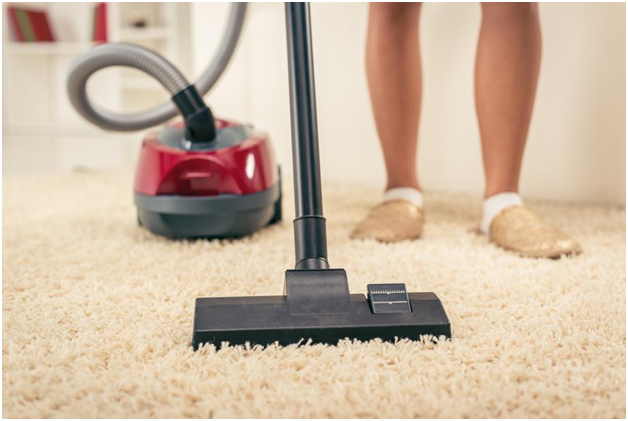 This may surprise you, but most homeowners vacuum their carpets incorrectly. They don’t follow the right vacuuming practices and make mistakes that can leave their carpets dirty and damaged. We need to address this knowledge vacuum. Not all carpets are the same. Oriental. Nylon. Olefin. Wool. Some are meant to be used in heavy traffic areas, while some are primarily meant for more sophisticated settings. Because carpets may vary in scope of deployment, the material from which they’re produced also varies; it must complement the settings of a carpet. For example, carpets that are used in heavy traffic areas are typically made from synthetic fibers. These fibers give carpets a durable look. On the other hand, carpets that are deployed in upscale settings are usually produced from wool; the material fiber adds a premium feel and look to the carpet. Since carpets are made from different material fibers, they cannot all be cleaned with the same type of vacuum cleaner. Using a vacuum cleaner that is fitted with a heavy-duty motorized brush may be fine on nylon carpets, but you cannot use this type of vacuum cleaner for wool carpets. Using a wrong type of vacuum cleaner can damage your carpet fibers. To determine which type of vacuum cleaner is best suited for your carpet, consult a carpet cleaning service near you. A vacuum’s canister stores all the dust. The more space it has available, the higher is the suction power produced by the vacuum cleaner. Many homeowners don’t empty their canisters before starting a vacuuming job. This can affect the efficiency of the machine and leave your carpets dirty. Therefore, always empty the canister before starting a carpet vacuuming job. When midway, check if the canister has become half full. If it has, empty the contents before proceeding with the job. This would allow the machine to work at optimum efficiency, save you time, save you in electricity bill and leave your carpets dust and debris-free. Many homeowners vacuum their carpets in one linear direction. This is not the correct way of vacuuming a carpet. This may clean your carpet on the surface, but it does not help you remove the allergens and dust particles that rooted deeper in the fibers of your carpet. With time, these dust and dirt particles accumulate and cause long term, irrevocable damage to your carpet. It’s vital that you vacuum your carpets in overlaps and in multiple directions. Vacuuming carpets in multiple directions help agitate the carpet fibers and results in more thorough cleaning. As always, getting your carpets cleaned by a professional at least twice a year is a must, alongside regular vacuuming to keep your carpets clean, healthy and long lasting. Professional carpet cleaning helps remove dirt, dust and stains from your carpet that otherwise may appear impossible to remove through regular vacuuming. If you have any questions about carpet cleaning or vacuuming, feel free to reach out; our Bakersfield carpet cleaning experts will be happy to help you.